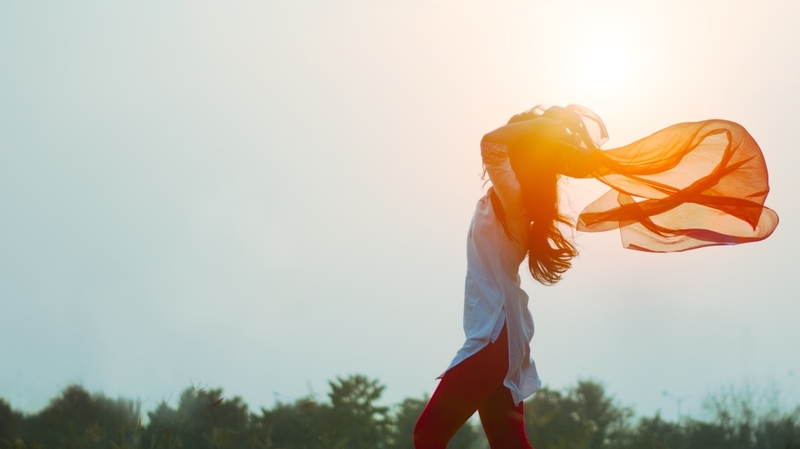 When you are recovered from an eating disorder, you feel free to be who you are. When you are recovered, you can show your feelings, such as anger, sadness, and joy. When you are recovered, you can and do embrace yourself -- including your imperfections. Originally published at blog.heemangforyou.com on December 3, 2017. Republished with permission. Get your blogs featured! 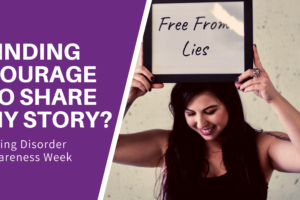 What does being “recovered” from an eating disorder mean? Well, there is no “one-size-fits-all” definition. I believe everybody has or should have their own idea of what being “recovered” means to them. Perhaps you can take a moment and collect your thoughts about what recovery means to you and examine how far you are from that place. Once you enter the “I am recovered” status, you are out there to be looked at as an example. Unfortunately, this can come with being judged by others, while they wonder whether you really have recovered. This is something that you cannot avoid, and you will have to learn how to handle. The best thing to keep in mind is that we should not worry about what other people think about our recovery. Believe it or not, what others think doesn’t matter. But there is one thing that does matter: you! You are recovering for yourself, not for anybody else. I challenge you to ask yourself the following questions: “Am I recovered? Am I free?” If your answer is “yes”, this is great news! You must be living your life to the fullest, with all the challenges, ups and downs, and joy that life throws at you. I am thrilled for you! If your answer is “no”, there is no need to beat yourself up. You can recover. It takes effort and consistency. And when you put all the energy that you put into your eating disorder into your recovery instead, then you can and you will recover. Most importantly, you need to believe that you are worth it. I was told numerous times there was no way I would ever recover. Honestly, even I did not believe in my recovery. During my recovery, doubt snuck in and I did not believe it was possible to be recovered. Now I know doubt is not only part of recovery, it’s also part of life. Doubt is part of being human. So if you ever doubt anything, even things you once felt confident about, know it is completely normal. Perhaps you are in an in-between stage, confused whether you have recovered or not. As frustrating as it can be, it is important to recognize it. As mentioned, there are so many definitions of recovery and “recovered,” and I want to emphasize the importance of having your own definition. This definition should be the goal you are marching towards. Why? Because the ultimate goal is to reach a place that you really want to be (not a place others define for you) and to live and enjoy the life you create. I have been there myself. I thought I was recovered, and I said that I was recovered, but in truth, I wasn’t. Having said that, I know that even that stage was part of my recovery. I had to acknowledge that I was still working my way towards freedom. The realization of that was rather hard because I wanted to be at the “finish line.” I wanted to be recovered, I wanted to help others, and I longed to be an empowering example. Let me share with you what “recovered” meant to me at first. I ate “healthy food” by the standard that is set by the experts and I exercised two or three times a week. However, If you asked me whether I ate because I ran, or I ran because I ate, the answer would have been the latter. I had a two-year-old son at that time (now I have 5 children), and to others that meant I was recovered. I was complimented and told my body looked “how all mothers should aspire to look.” Did that make me feel good? At first, yes, but eventually I started to feel uncomfortable. The truth is, if I didn’t have time to do my “recommended” amount of exercise or eat that “heathy” meal, I was tense, grumpy, and hard to get along with. I told myself it was important to have “me time” and take a break from the baby. I told myself I needed to relax and get the tension out of my system. So I justified the need to run. While there is truth to some of these beliefs (self-care is incredibly important) there are other ways to achieve calmness. The reality is, I traded my eating disorder for being “super healthy” and a “superwoman”/ “super-mum”. I believe being “recovered,” especially for me, means that I enjoy whatever activities I do, and I don’t freak out when something comes up and I cannot do them. It is okay to eat and enjoy it, even if I cannot fit in any exercise. I do not need to earn my food. I also don’t label food; therefore, I am neither satisfied nor triggered by what I eat. Remember, just because you are recovered, it doesn’t mean you will never have bad days. It is ok to have a bad hair day, and, believe it or not, it is ok to have a “bad body” day, too. We all have them; there is no human being who feels completely satisfied with their body all the time. I believe, when you are recovered, you enjoy what you do on the good days, and you have coping strategies for the bad days. You are not going to be immune to hard times, but you can cope with whatever life throws at you. You no longer need to do timeless workouts to prove your worth, or shop until you drop to make yourself feel better. You don’t need to lock yourself away and hide or do whatever it is that does not give you peace and satisfaction. You no longer have to be the toughest kid on the block, nor do you have to have everything together 100% of the time. 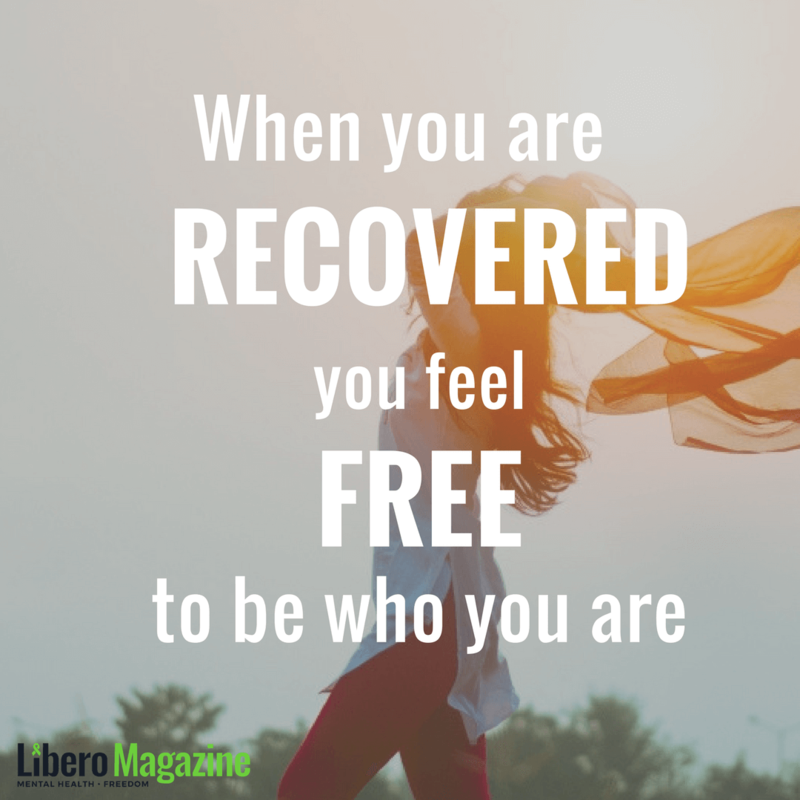 When you are recovered, you feel free to be who you are. When you are recovered, you can show your feelings, such as anger, sadness, and joy. When you are recovered, you can and do embrace yourself — including your imperfections. Are you there yet? If not, don’t stop until you get there because you are worth it! 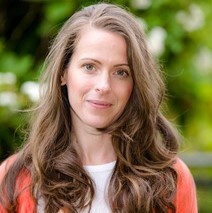 Krisztina Marshall is the Founder and CEO of Heemang Emotional Wellness (Heemang is Korean for Hope). Heemang Emotional Wellness provides psychotherapy and counseling to those who are struggling with emotional eating, eating disorders, and obesity in Vancouver, BC and online. Having suffered for more than 15 years from an eating disorder, Krisztina has much experience in dealing with the various aspects of this very serious disease. During her illness, she was told that she will never be free and that she was a hopeless case. However, with a strong willingness to find her way, Krisztina developed her own strategy to beat the ‘beast’. Upon her recovery, she made a promise to dedicate her life to delivering hope and help to those who are held prisoner by eating disorders. Krisztina also engages in public speaking and has held workshops in various countries within Europe. Krisztina is a passionate blogger and is currently working on two books that are soon to be published. 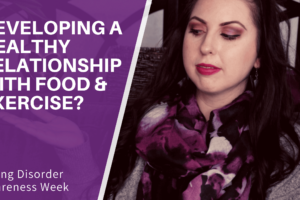 She is a dedicated mother of 5 amazing children, and she hopes to inspire her clients to experience the possibility of a full recovery from their emotional eating and eating disorders.